There’s never a dull moment in Pinawa for things to do. With a plethora of organized and unstructured activities, you’ll run out of vacation time before you exhaust the available activities. Combine things like tubing, golf, and cake decorating class all into one power-packed weekend! 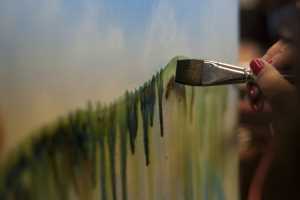 For those with a less structured theme see our directory of things to do. Our list is by no means exhaustive. Whiteshell Provincial Park, Manitoba offers a vast amount of activities, so many it would take you months to complete them all! We encourage you to contact us for a customized package. Tube, Canoe and Raft Adventures from $8.85 is perfect for those seeking amazing Manitoba Retreats and Adventures. 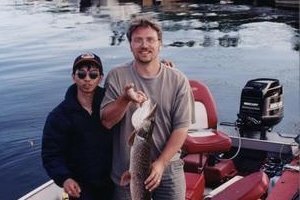 There’s a reason why thousands of people flock towards Pinawa during the summer months. The ultimate spot for all of your tubing, canoe and rafting adventures. Wilderness Edge offers excursion opportunity to anyone who dares to take on the channel. Located just one hour away from Winnipeg, we provide tubing and rafting adventures with equipment rentals, all at a fair price. Power-pack the experience with one of our complete day trips, overnight or weekend packages. Express yourself! Getting creative is good for the soul (and we make it easy). Unleash your creative spirit. In this Manitoba Retreat Package for Decorating Basics, Loni Pakulak our resident cook will be your instructor. Create your own floral arrangement in this 2-hour class. Learn some tips and techniques that professional floral designers use to make their arrangements look their best and prolong the life of the fresh flowers. Two bedroom suite with a bed for each person or Bachelor Suite for couples with 1 queen log bed. This golf season, take on one of the best Manitoba course you’ve never played just 1 hour from Winnipeg. 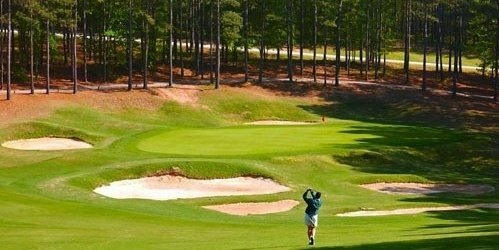 This golf package includes a night at Wilderness Edge Retreat and Conference Centre. 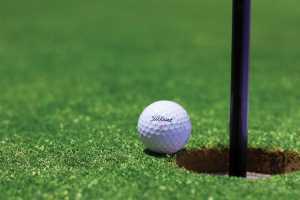 A round of golf at Pinawa Golf & Country Club Course, and a shared cart rental; all for a fantastic package price. Moss Spur Ranch is happy to offer private, semi-private, and group lessons. Cheryl is a CHA certified level 1 Western and English coach. 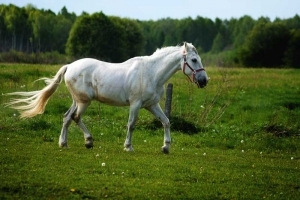 The focus is on safe, effective and fun encounters with horses, encouraging the growth of confidence with handling horses while riding and on the ground. 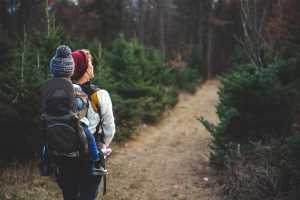 Hiking the Trans Canada Trail in Whiteshell Provincial Park around Pinawa is absolutely on the top list of activities if you love the outdoors. 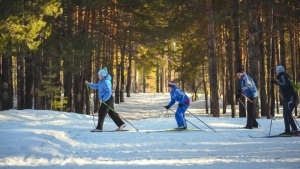 Pinawa has about 40 km of trails including a 7.5-km trail for skiing technique. There is a 7 km loop rated easy while all the rest are intermediate to difficult. The trails are the site of the Manitoba Loppet and the 50 km Super Loppet in late January. 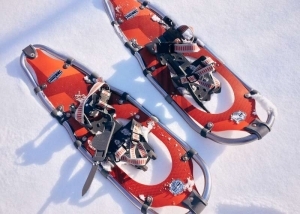 A 26 km section of the Trans Canada Trail from Pinawa Dam to Seven Sisters Falls is also maintained for skiing. Ramble through the brush or along designated trails while winding through wooded lake country in Whiteshell Provincial Park. We hope you include this as part of your stay with us in late February and March. 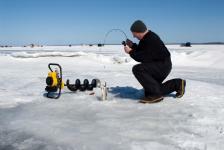 Wilderness Edge has a gas motor ice auger and plenty of places to fish including a few favorites. The Esso station beside us keeps stock on frozen minnows and fishing licenses. In need of a romantic retreat? Don’t have money to just throw out the window? Book one of our inexpensive Couples Suites. Go through our list of activities and plan your own Romantic Retreat on-the-cheap. Need a family get-a-way for not too much money? Wilderness Edge is a perfect place to enjoy each other and the numerous activities in and around the area. 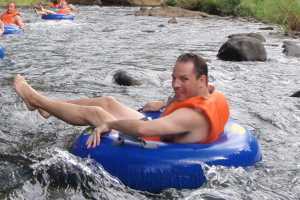 Maybe book the horse ranch for a morning and some rafting or tubing in the afternoon. All at a cost that won’t break your bank account. Need a get-a-way for not too much money? 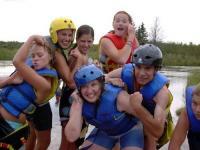 Wilderness Edge is a perfect place to enjoy each other and the numerous activities in and around the area. Maybe bring a good book for a morning and some hiking and photography in the afternoon. All at a cost that won’t break your bank account. Pinawa’s Suspension Bridge is a popular tourist attraction and is located as a branch of the Trans Canada Trail. 54 metres long and 1 metre wide it crosses Pinawa Channel. The bridge is part of a loop for interpretive walks, casual fishing, and cross-country skiing. Located on the Winnipeg River, Pinawa Dam was Manitoba’s first hydro-electric generating station. Old Pinawa Dam Park has become a historic site with walking paths and areas for surfing the rapids in the turbid waters. 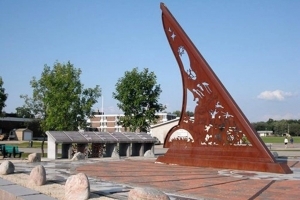 Built to mark the new millennium through the expression of a variety of themes, the Pinawa Heritage Sundial is located in the heart of Pinawa near the marina in a small park in a restful spot overlooking the Winnipeg River. 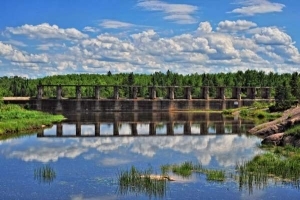 Pinawa’s section of the Trans Canada Trail is a mix of forest, granite ridges, and beaver dams as it winds from the Pinawa Dam Provincial Park to the Seven Sisters Generating Station. This section of the trail includes the Pinawa Channel Heritage Walk, Ironwood Trail, and Alice Chambers Trail. The Pinawa Golf Course meanders along the Winnipeg River and the Pinawa Channel for 6270 challenging yards carved out of the Canadian Shield wilderness. Expect to be awed by the beauty of the course, amazed at the wildlife viewing opportunities you are almost guaranteed and challenged by the layout of the course. The Pinawa Golf Course is truly one of Manitoba’s hidden gems! There are three firepits at Wilderness Edge; beside the River, overlooking the river, within the courtyard. 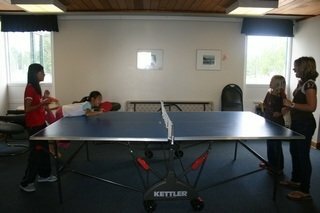 One of our most popular activities! Old Pinawa Dam offers a short run that is repeated many times with several variations including body surfing! Transportation: You are required to drive 8 miles. Life jackets and helmets are available, BRING WATER SHOES if possible. Understanding of Risk document required to be signed. Provincial park vehicle pass allows you to park closer to the rafting site but is not required. Expect to share helmets, lifejackets, and rafts. Enjoy a game of tetherball on one of our two courts. Enjoy a good old fashioned game of horseshoes! Central to our waterfront property is our 66 dock marina. The ironwood trail is located on both sides. We keep a cache of 6 canoes near the marina for our overnight guests to access from Sun up to Sun down. 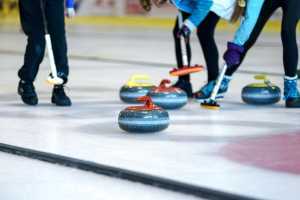 Enjoy the fun of your groups own private curling rink. 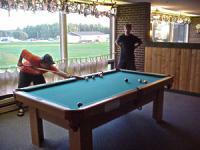 Located just 3 blocks from Pinawa you can rent up to 6 lanes. The cost is $25 per hour, per lane. 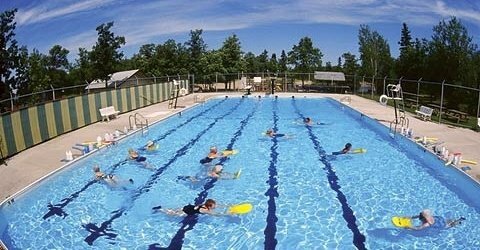 Pinawa Public Pool is open during the summer months and is located beside the public beach, playground and gold course. Located on the Wilderness Edge waterfront property and right beside our marina. Pinawa Rowing and Sailing Club offers both training and rentals throughout the season. Located just 1 block from Wilderness Edge. Outdoor Arena is Free. Indoor Arena call for costs. A short walk from Wilderness Edge is Pinawa’s Beach. Located right beside the large heated swimming and wading pool. Wilderness Edge strongly recommends visiting the dam while in the area. It is one thing to see photos of it. But its a completely different experience to actually walk right up to the dam. To hear the sound of the water rushing over the spillway, and to see the massive size of the dam itself. Manitoba Hydro provides free tours of the facility. Make arrangements a few days in advance. Phone 204-348-2603. 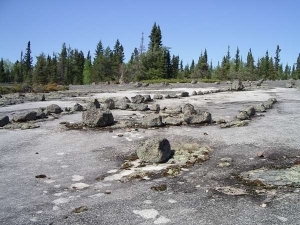 Petroforms are figures laid out on bedrock in the forms of turtles, snakes and humans, and also in abstract patterns. Anishinabe and other First Nations people believe that they were left here long ago for the benefit of all people that might visit this site to receive their teachings and healing. 1. If you’d like us to host your group event — to dramatically improve your retreat, conference or gathering experience and build stronger human connections (like we did for all those groups), thenclaim your FREE Group Consult session. 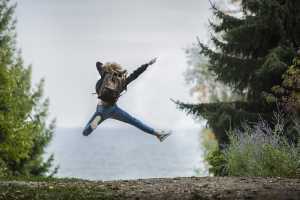 On this free phone consultation, one of our group retreat experts will discuss your goals and suggest a plan of action to increase your satisfaction rating from any previously held group event.